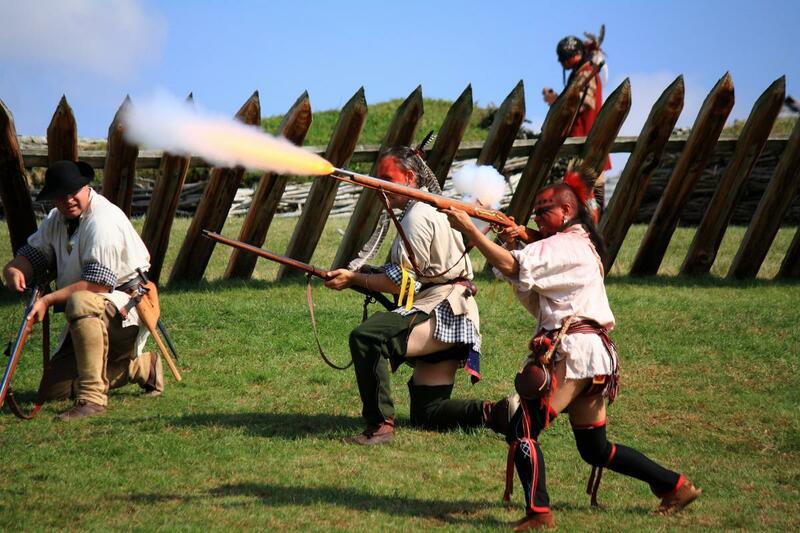 Named one of American Bus Association&apos;s "Top 100 Events in America," Fort Ligonier Days is a three-day festival that commemorates the Battle of Fort Ligonier, a monumental affair of the French and Indian War fought on October 12, 1758. Join the fun of the Fort&apos;s 59th celebration. The festivities start at 9 a.m. on Friday, Oct. 12 and come to an end at 5 p.m. on Sunday, Oct. 14. Saturday, Oct. 13 at 1:30 and 3:30 p.m. and Sunday, Oct. 14 at 1 and 3 p.m. 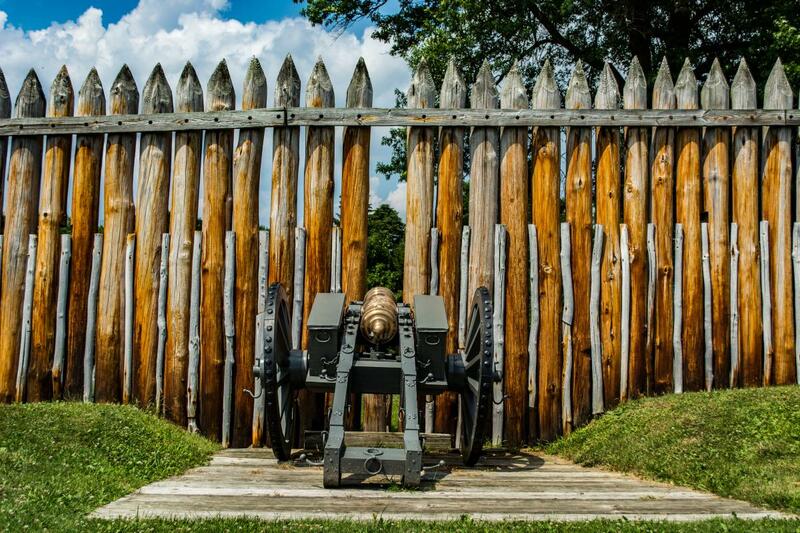 Experience the rare opportunity of seeing Fort Ligonier’s artillery in action. See the arsenal of cast bronze weapons, including an eight-inch bronze howitzer and carriage, a light brass six-pounder, gun sleighs, block carriages and a fieldpiece, which fires a round shot, grape or canister, and is mounted on carriages with large wheels. Saturday, Oct. 13 at 2 and 4 p.m. and Sunday, Oct. 14 at 1:30 and 3:30 p.m.
Definitely a favorite at the Fort, the reenactment is an exhilarating history lesson for every member of the family. During the reenactment, you will see a showing of military tactics, drills, cannon firings, ceremonies, Highlanders, frontier men and women, redcoats, French troops, Indians and music from 1758. Visit Fort Ligonier&apos;s official website for more information. Note: Regular admission fees still apply for activities at the Fort. The picturesque town of Ligonier also participates in the Fort Ligonier Day festivities, offering more than 200 artisans and craft vendors in addition to more than 60 specialty shops and restaurants that reside in Ligonier year-round. Satuday, Oct. 13 at 11 a.m. 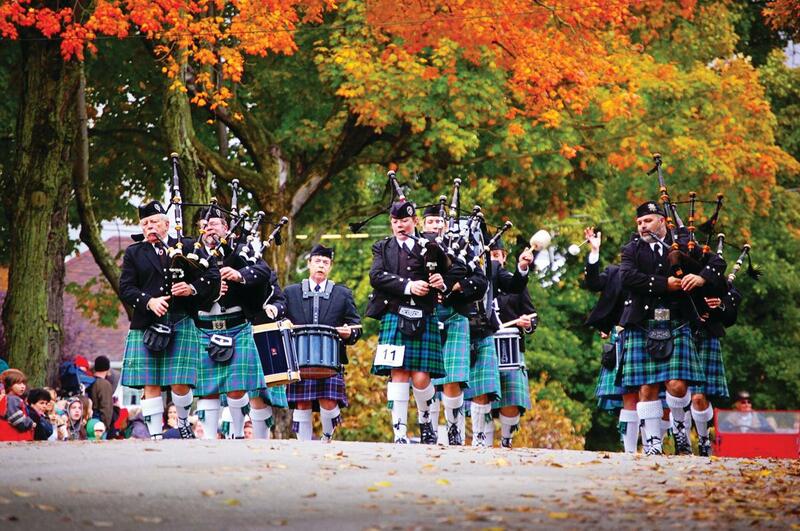 The elaborate and exciting parade is an event you don&apos;t want to miss during Fort Ligonier Days. 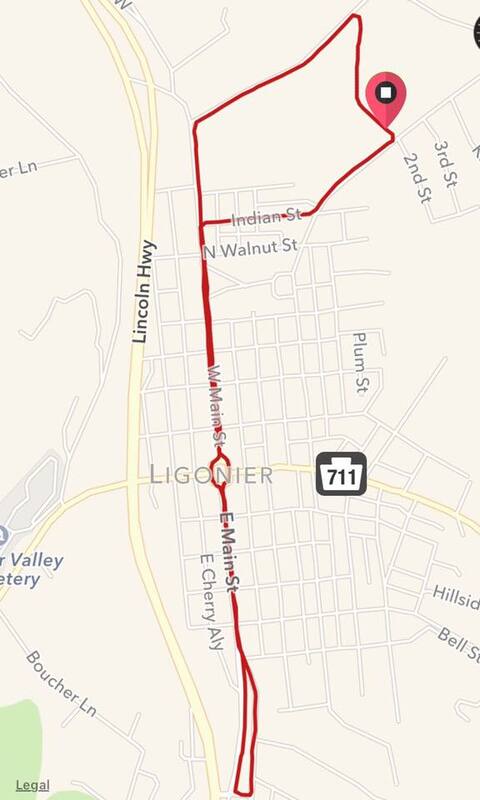 The procession starts at 11 a.m. on Saturday on Main Street and continues around the charming Ligonier Diamond. Including historic units with reenactors, local television personalities, Shriners, college and high school bands, bagpipers and multiple other floats, the parade is sure to entertain young and old alike. More than 30 food booths will line the Diamond and other locations throughout town. Walking around to and from festivities is sure to make you hungry, and the variety of food available will satisfy even the hungriest! 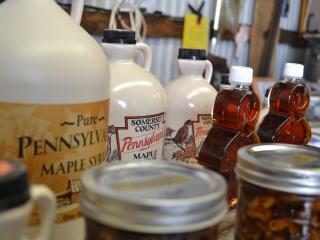 Every vendor sells something different: funnel cakes, pies, gobs, apple dumplings, crab cakes, roast beef sandwiches, pierogies, authentic gyros, hot sausage, cheesesteaks and more fall flavors. Sit-down meals are available at several local churches. Click here for a list of all food vendors and a map of where you can find them. There are more than 200 craft booths in six different locations that are linked by a shuttle bus service. The six official craft lots are: Fairfield lot, Loyalhanna lot, Mellon Park lot, Municipal lot, Train Station East lot and Train Station West lot. Talented artisans will display and sell their homemade items including wood furniture, candles, paintings, stained glass, jewelry, leather, baskets, pottery and much more! Be sure to also check out local merchants holding sidewalk sales! They set up their sales on Thursday, the day before the event, and are available for browsing the entire festival weekend. Nonstop live music will set the tone of the Fort Ligonier Days weekend, and it&apos;s free! The outdoor concerts include something for everyone - Celtic, Country Rock, Brass, Oldies, tribute bands and even big names from the &apos;50s and &apos;60s! Click here for a map of the music locations. 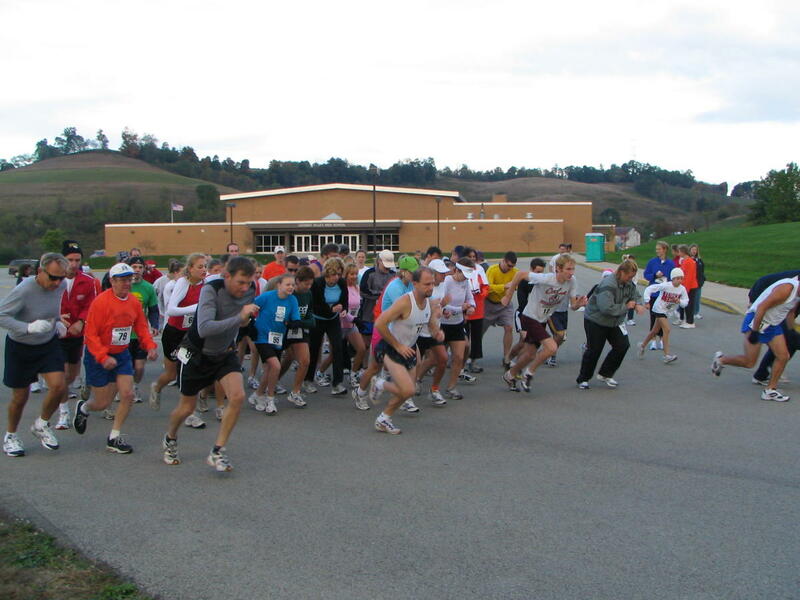 Join the crowd at Ligonier Valley High School on Sunday morning at 8:30 a.m. for the Fort Ligonier Days 5K. T-shirt, packet pick up and registration will be available on Friday, Oct. 12, from 5-6 p.m. at Ligonier Valley High School, and starting at 7 a.m. on race day. There are awards for each age division and a cash prize for top male and female runner. Click here to see the 5K route map. You can even include the kids by letting them run the Kid&apos;s Cannonball Dash for kiddos under 10. The Dash begins at 9:30 a.m. after the conclusion of the 5K. To keep the kids busy during the adults run the 5K, they can make their way through a fun obstacle course! Sample wines from ten different wineries throughout the Laurel Highlands and buy a bottle (or a few) to enjoy at home. Click here for a list of the wine tasting booths and where you can find them. Parking at the Fort is not allowed during Fort Ligonier Days. No parking is permitted in town or along Route 30 during the festival. Parking is available at the Ligonier Valley High School and the Laurel Valley Golf Club lots on 711 South. There is a parking fee per vehicle per day. For safety reasons, do not place any chairs along the parade route before 6 p.m. on Friday. No pets or backpacks allowed in the festival area. 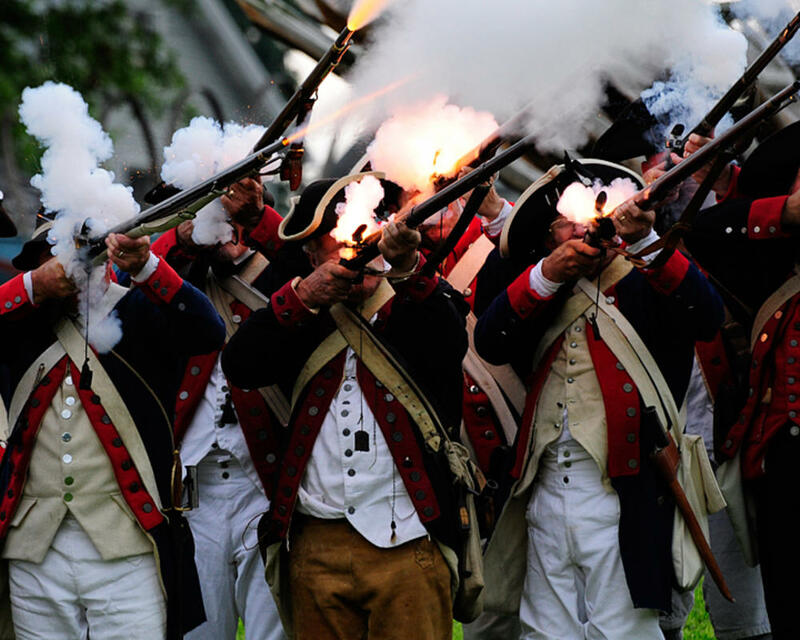 The events that occurred at Fort Ligonier signified the actual beginning of the American Revolution, according to many historians. Pittsburgh exists today because of the key, strategic battle that occurred at Fort Ligonier in 1758. The original fort, called the "Post at Loyalhanna," was constructed in September of 1758. By late October of that year, George Washingtown had arrived at Loyalhanna, but not before the defeat of a British force at Fort Duquesne on September 14 and the successful defense of the Loyalhanna from a French attack on October 12. Heavily outnumbered, the French abandoned Fort Duquesne, which became Fort Pitt and is now present day Point State Park, where the Allegheny and Monongahela rivers come together to form the Ohio River.